New WooCommerce 2.1 is live! In short, if your business relies on WooCommerce do not update to 2.1 just yet! Our customers could post us any bugs and layout issues that they find after installing new WooCommerce 2.1 and we will do our best to incorporate fixes into theme updates till the end of February. “Sales” and “What’s New” Widgets are completely lost. On the product page “Related items” styles are messed up. If you find any more WooCommerce 2.1 issues with our themes feel free to post it in the comment section below! WooCommerce 2.1.1 fix release is now available. 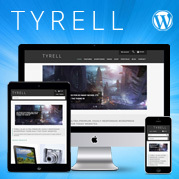 All endpoints, shop pages, category pages and other pages resulting in 404 errors after the 2.1 update will now have their permalinks flushed correctly. This solves all the issues with pages not loading. 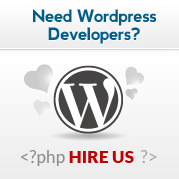 Fixed all language country codes to reflect WordPress standards, so all translations will work again. Fixed issues where stock status wasn’t properly set so new products didn’t show on archive pages. Fixed when add_to_cart is called, ensure the correct product_id is set for variations. Themes NanoShop and NanoShop Lite are now WooCommerce 2.1+ compatible and available for download. We are working now on the WooShop, MiniMart and WooShop Lite themes. Also WooCommerce 2.1.2 fix release is published. 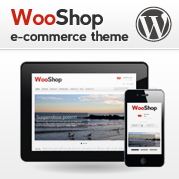 Themes WooShop and WooShop Lite are now also WooCommerce 2.1+ Compatible. MiniMart theme is next in a line! 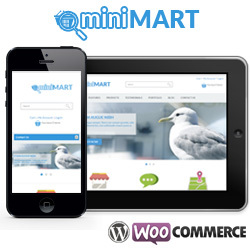 MiniMart theme is updated for WooCommerce 2.1+ . 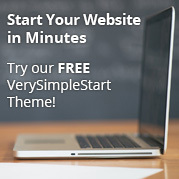 All Dessky themes are now updated to work with WooCommerce 2.1 and they are available for download. 5 responses to WooCommerce 2.1 is out, should you upgrade? First I want to tell you I really like the theme you designed, it really is plug and play. Your theme has bundled outdated copies of WooCommerce template files…. etc. Should I unistall a 2.1 and re install the older version? I’m glad that you like our theme! Now that you upgraded WooCommerce 2.1 the best would be to wait for the arrival of the new theme version because WC has altered your database and it is possible that your previous settings and widgets will not come back with the downgrade to 2.0. 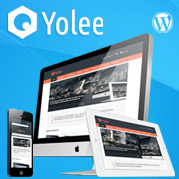 We are working right now to make all of our themes WooCommerce 2.1 compatible. Thanks Milan, for very quick response. I am lucky that I did it in my local environment so no crucial problems to worry about. Let this be a warning to everyone don’t update your WooCommerce plugin yet. Well done everybody! I see that we have not been the only one having difficulties with the large amount of changes in WooCommerce 2.1, and it’s great to see that other developers work hard to improve the selection of themes and products available for such ecommerce platform, even when that involves dealing with the new quirks.